Fethullah Gulen says he has no intention of fleeing America if Donald Trump is going to extradite him to Turkey. But the Muslim cleric might like to read a new book before he obliges the Turkish President by climbing aboard a plane for Ankara or Istanbul. Accused of fomenting the attempted coup almost exactly a year ago, he has a touching faith in Turkish justice which has organised the arrest of 50,000 Turks for involvement in the “terrorist” crime. 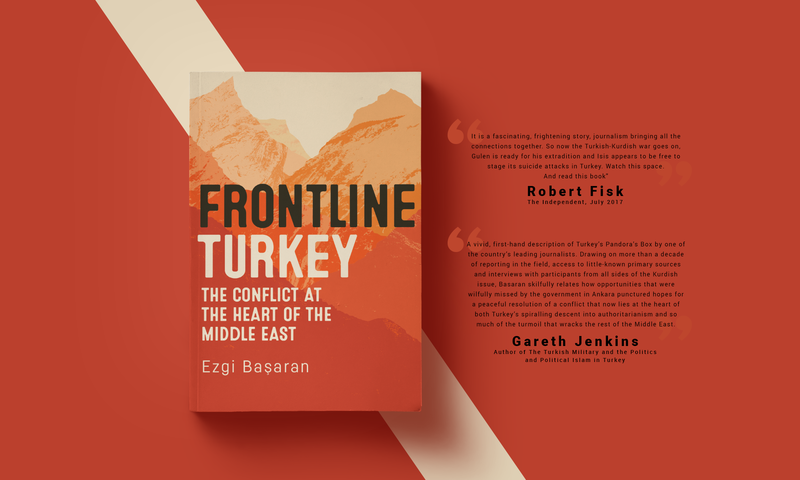 For Ezgi Başaran’s Frontline Turkey: The Conflict at the Heart of the Middle East – published by that ever loyal imprint of IB Tauris, a true friend of the region – reveals a shocking story of police brutality, torture and Turkish secret police crime and involvement with Isis. It’s also not very nice about Fethullah Gulen himself. Born in Erzerum in 1942, he became a cleric, one of the founders of the “association for fighting communism” – which might appeal to Donald Trump – but Gulenist schools, attended at first by poor children, prepared their pupils to occupy as many posts as possible in the country’s judiciary, police and military. This is Başaran’s contention, and she backs it up with a revealing quotation from Gulen used in an indictment that accuses him of trying to topple the secular state in 1999 and which doesn’t sound very democratic. When he realised he might be arrested in 1999, Gulen failed to obtain a preference visa to the US because, according to the Americans, he was not an “educator”, as he claimed, but “the leader of a large and influential religious and political movement with immense commercial holdings”. But he got a US green card with three reference letters – from a former US ambassador to Turkey and two ex-CIA officials. So while Gulen looks like a rather cuddly imam, spending his twilight years in American retirement, he has built up an extraordinary system of Islamic schools and charities in the US, UK and Turkey worth billions of dollars – and represented himself as a humble servant of God with moderate ideas. His own movement subsequently withdrew a book on the Turkish market (My Little World) in which, according to Başaran, he justifies wife-beating, “albeit as a last resort”, describes Christianity as “perverted” and characterises America as “our merciless enemy” – not the kind of quote to get you a green card. Başaran is a journalist who was editor of Radikal – it sometimes ran my own articles, but was closed in 2016 – and her speciality is the Kurds. And Erdogan. And now Isis. She writes that “the new [sic] Turkey” under Erdogan’s Justice and Development Party (AKP) is “rushing headlong towards an authoritarian regime and a new, darker Middle East after the hope of the Arab Spring”. The solution to what is happening in the Middle East is “directly related to Turkey’s 40-year old Kurdish problem and how the Turkish government chooses to deal with it”. Başaran’s survey of Kurdish history is both familiar and instructive. The Kurdish people were supposed to get a state after the First World War. The Americans declined to accept the League of Nations mandate for “Kurdistan” – let’s see if they betray them again after the capture of Raqqa – although it’s interesting to be reminded that the original map of Turkey drawn by Ataturk included Mosul, Kirkuk and Suliemaniya because these three now Iraqi cities were Kurdish “and Kurds and Turks were inseparable”. Hence Erdogan’s interest in pushing his army into northern Syria and into Iraq outside Mosul. Clearly, someone has pulled the old map out of the archives. Ataturk, in fact, talked about autonomy for some Kurdish areas since they had fought with the Turks in the First World War – they also helped to perpetrate the genocide of the Armenians in 1915, although Başaran makes scarcely a mention of this. In a protocol drawn up by Ataturk and the still existing Ottoman parliament in 1919, the first article accepted the principle of Kurdish autonomy and recognised the national and social rights of the Kurds. It was kept secret until the 1960s. But a gradual “Turkification” of the country took away these rights. The Kurds revolted 28 times between 1923 and 1938 and the government began a “resettlement” of the Kurdish people. It was not surprising that Hitler admired Ataturk. Indeed, in the last months of Ataturk’s life, his military attacked Dersim, a rebellious and mainly Kurdish and Alawite town in south-eastern Turkey where, in the words of one Turkish politician and lawyer, “we annexed Dersim by annihilating it”. One of the pilots assaulting Dersim was Sabiha Gokcen, Ataturk’s stepdaughter, the only woman to fly a combat aircraft. She returned home a hero. Erdogan, of course, is no Ataturk fan. He wants to return to the glorious days of the Ottoman Empire and this week declared on the BBC that the EU is not “indispensable” to Turkey. And thank heavens for that! But Başaran says that the government “intentionally built an explosive triangle of Isis, Kurds and Turks”. The PKK, the Kurdish Workers Party, embarked on a ferocious war against the Turkish army and police, but the authorities proceeded with a “de-Kurdification” of Turkish Kurdistan. By 1986, for example, 2,842 out of 3,524 Kurdish villages had been given Turkish names. The Brits tried that in Ireland more than 100 years ago. We know the result. Watch Brian Friel’s play Translations. Initially, Gulen backed Erdogan. And it was during this period that Gulenist newspapers were filled with stories about army officers planning a coup. The evidence appears to have been fabricated. Three hundred stood trial. The case was dismissed – after Gulen had done a bunk to the United States. In 2013, Gulen’s movement leaked tapes of a corruption scandal including leading government figures. Erdogan called this an attempt at a “civilian coup”. Trials began which labelled Gulen a “terrorist”. But the AKP was in the ridiculous situation of being the ones who had put Gulenists into key positions to prevent a secular state. AKP members would also have to be put on trial. If Gulen is indeed extradited, his trial will be well worth attending; he will have much to say. In 2014, the Isis siege of the Syrian Kurdish town of Kobani began and the Kurds immediately suspected that Erdogan was more interested in destroying them than destroying Isis. The PYD (Democratic Unionist Party, part of the PKK) were surrounded but the Turkish government newspaper Sabah was already saying that the PYD was “more dangerous than Isis”. The Kurds were outraged. They suspected that Turkey was arming Isis – and proved it when the Turkish police stopped four lorries sent to the border by the Turkish intelligence service, carrying up to 30 missiles, more than 20 crates of mortar ammunition and anti-aircraft guns. Erdogan said he would make the editor of Cumhiryet– who had revealed the arms smuggling operation – “pay a heavy price”. Not the act of an innocent man, least of all one who claimed this week that Turkey doesn’t imprison journalists. Turkey kept its border open until Kurdish forces took control of Til Abyad in mid-2015, which cut the Isis supply route to Raqqa. So Isis began to attack Kurds in Turkey. Başaran’s newspaper Radikal began to expose the connections. The Kurds had warned that an Isis assault team of 100 men had been sent to Turkey. Their warning was ignored by the government. It was true. The paper published a series of interviews with parents in Adiyaman whose sons had gone to Syria as “jihadis”. In Diyarbabkir, a bomb killed five people. The bomber was Orhan Gonder, whose parents Radikal had interviewed in Adiyaman. At the heart of the Adiyaman cell, Radikal discovered, was a teahouse called the “Islam Cayevi”. The government did not want to know. There was another suicide bombing in Suruc: 34 dead. The bomber was 20-year-old Seyh Abdurrahman Alagoz from Adiyaman. His father went to the police when he originally vanished from his home. They didn’t want to know. Alagoz’s brother Yunus was manager of the tea house. Başaran warned in her Radikal column that more attacks were coming. In October 2015, a bomber exploded himself at a peace rally in Ankara, killing 107. One of the bombers was Yunus Alagoz, the brother of the Suruc bomber and owner of the teahouse. It is a fascinating, frightening story, journalism bringing all the connections together. So now the Turkish-Kurdish war goes on, Gulen is ready for his extradition and Isis appears to be free to stage its suicide attacks in Turkey. After Aleppo and Mosul – and Raqqa soon, I suppose – it’s easy to take our eyes off Turkey. Even America has earned Erdogan’s rebuke by staging air strikes to help the surrounded Kurds of Kobani. Watch this space. And read this book.